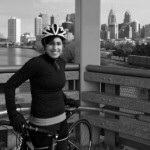 Meet Erica Rosset, our new sponsor rider with Tea for Support: Bike & Build. Recently, Erica helped us out big time by creating & fixing some illustrations we needed for our sales team, managed by Leslie Bushby of Hospitality Reps Inc.
What made this work so so unique was that Erica wanted her payment in the form of a donation! Erica and I got to thinking about how we could create a new revenue stream for her fundraising that would avoid the dreaded 'fundraiser fatigue'. Here is the link to Support with Tea: Bike and Build. For an extra pledge of $15.00, you'll enjoy delicious tea, help raise funds AND get Erica in condition for the long journey ahead this summer. If you would like updates on the life altering journey - please use our contact sheet and put Bike in the subject line. We'll let you know how to follow Erica. 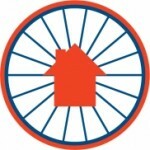 Bike & Build, Inc., which is a 501(c)3 nonprofit organization committed to fighting the affordable housing crisis in the U.S. through cross-country bike trips. Each summer, young adults bike from the Atlantic to the Pacific along eight different routes. Along the way, these groups stop at several different build sites and volunteer with affordable housing organizations like Habitat for Humanity and Rebuilding Together. Erica taking the Northern Route with a team of 33, starting in Portsmouth, New Hampshire and ending with a swing up to Vancouver, B.C. to help build houses all along the Northern states of the U.S.